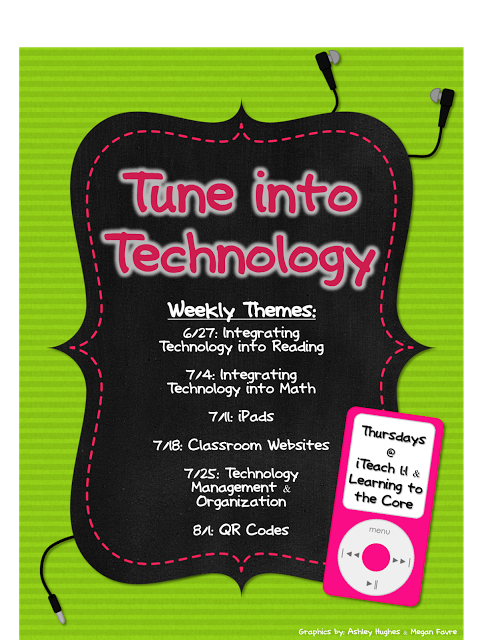 One of my favorite blogs, iTeach1:1, is hosting an amazing link-up: Tune into Technology. This week I couldn't resist...I just had to link up to discuss the topic: Integrating Technology into Math. To start off, two of my favorite websites to find quick, fun, and educational videos are Brain Pop and Brain Pop JR. Brain Pop and Brain Pop JR are educational websites with short animated videos for students in grades K-12. Also included are quizzes, supplemental information and related materials, and games covering science, social studies, English, technology, health, art, music, and today's topic: math! Although Brain Pop and Brain Pop JR are websites you need to pay to use they do have some videos and free materials that you can check out. I'm lucky to have our district pay for our subscription because I use this site frequently. The videos are quick and comical. Students love them and they provide a quick review of a previously learned topic, or a great intro into something new. 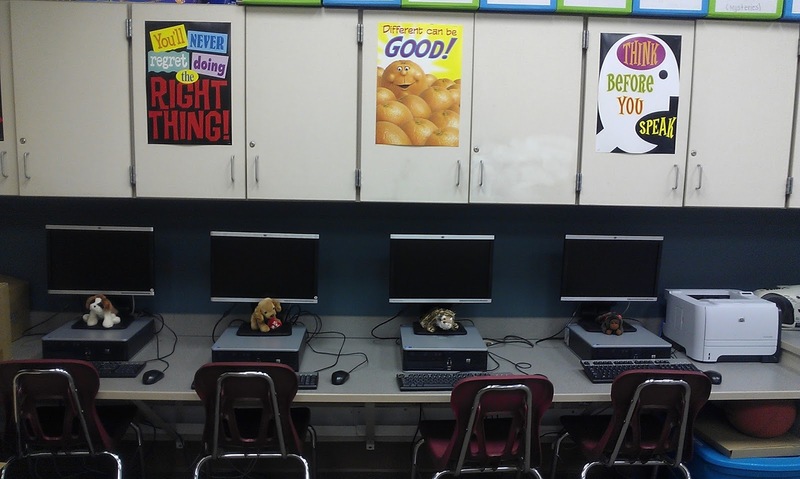 I like to integrate technology into my math center rotations. 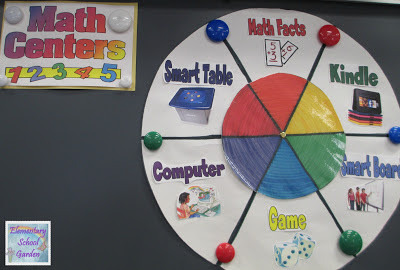 I use a center wheel to organize my math center rotations. 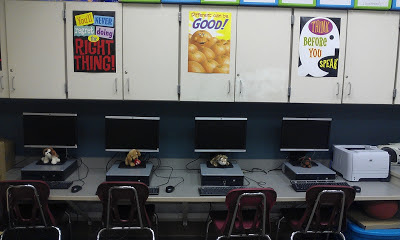 Some of the technology based rotations include classroom computers, our Smart Board, Smart Table, and Kindles (to name a few). Students use the computer to play games such as XtraMath or Study Island Math. XtraMath is a free website that I've raved about in a previous blog post that you can check out here. Study Island is funded by our district. Students love the quick and fun lessons that are standards based. They are also obsessed with the games. Students get quick skill and drill practice of Common Core or state specific math standards while playing fun games. Best of all, it keeps track of student progress for teacher record. Students use the Smart Board to play games that I received from Lakeshore Learning through a funded project on Donors Choose. 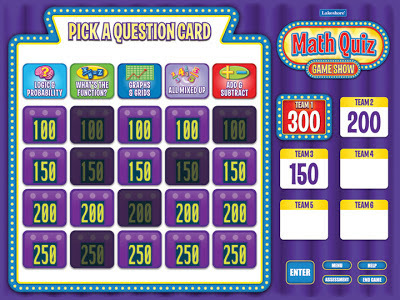 A student favorite is Math Quiz Game Show. We project this game with our Smart Board so that students can play as a whole class, in small groups, or with partners. This games has all the sights and sounds of a real-life game show. It's perfect for math review or extra practice as it includes 200 level-appropriate questions in 11 key categories. 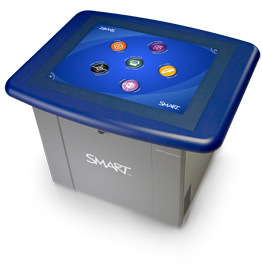 Another student favorite for math center rotations is our Smart Table. Smart Exchange has free downloads for the Smart Table that you can search for based on grade level and topic. I usually check out this site first before heading out and creating my own file since creating files for a Smart Table can become time consuming. I love the interactive feel of a Smart Table. Students are provided with activities that build teamwork skills and help students learn to work effectively with partners and in small groups. Students use Kindles during our math center rotations to practice math facts with free APPS such as Arithmemouse, Telling Time, math Bingo, and Butterfly Math. Every few weeks I always check out Amazon to see which apps are free. Free apps change often. I also save up Amazon gift cards to use to purchase apps and books for our class Kindles. Want to learn more about integrating technology into math? Pop on over to iTeach1:1 today. Thanks for sharing so many amazing ways to incorporate technology into math! I am definitely going to have to more at Study Island-sounds like a great program. Thank you also for the tip on the free apps. I think I am going to have to start adding "checking Amazon Free Apps" to my weekly list of things to do-I had no clue and that is awesome that they change! Thanks for linking up with us! I have a SMART Board but have never heard if a Smart Table! Neat!! I need to check out XtraMath. Thanks for sharing so many great ideas! !